I could not resist purchasing this empty box! I displayed it and now it’s time to share. Details/graphics are shown in photos. Box measures 11 ¼” long, 4 ¼” wide, 2” tall. It is in very good condition with minor rubs, etc from storage/shelf wear. This hat box is so neat! I think you can see the label in photo – it has “THE HUB, HENRY LEVY & SONS, 427-429 Main Street, Evansville, Indiana, Men’s Hats and Furnishings”. Isn’t that just the greatest? Hats and Furnishings! I purchased this lovely wooden box to display with Christmas handkerchiefs and now it’s time to share! Box measures 9 ¾” x 5 ¼” x 1 ¾”. It has a hinged lid and the lid has a poinsettia with leaves on both exterior and interior. The exterior has color, interior flower doesn’t. box is in very good condition for its age with minor scuffs, etc. This would be a wonderful gift for a hanky or glove collector (or for yourself!). 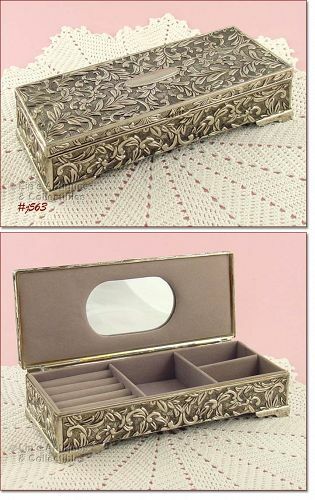 This is a gorgeous jewelry box and is the perfect size to take on trips! Made by Godinger, it measures 9” long, 3 ½” wide, and 2” tall. Excellent condition! Isn’t this a pretty trinket box? It’s egg shaped, (3 ¼” long, 2 3/8” wide, 2 ¼” tall), has “Fine Bone China” sticker on bottom, and is in excellent condition! Neat sewing box made by Hommer Manufacturing Company of Newark 5, New Jersey, USA! 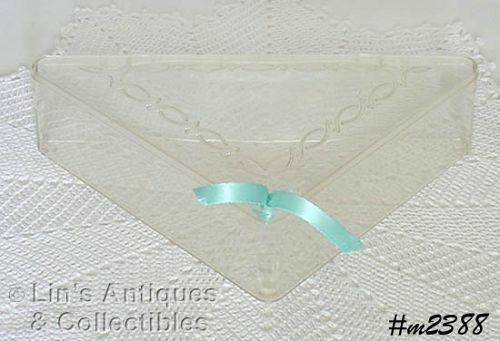 Really neat Hommer triangular shaped hanky storage box! In wonderful condition – has typical storage scuff marks and there are some small yellowing spots on top caused by tape glue residue. Box still has the original Hommer paper insert. This is a super neat sewing box made by Hommer Manufacturing Company! It’s a pretty marbleized blue color and has a clear removable tray. 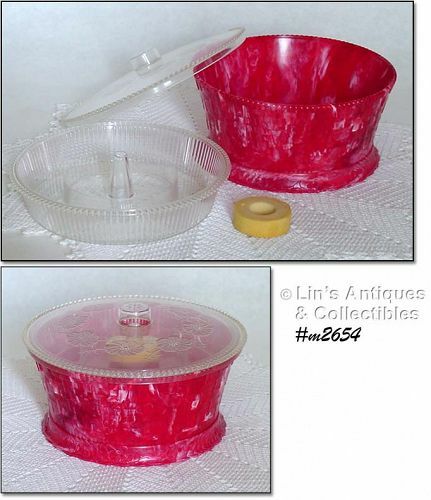 Another neat Hommer hanky box in a pretty “marbleized” color -- this one is red! Hanky box is in very good condition with storage/wear to lid. 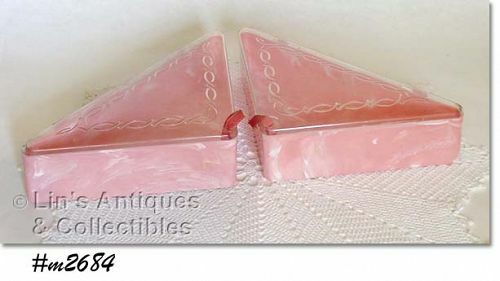 This listing has two Hommer hanky boxes in pretty “marbleized” pink color! Both are in wonderful condition with the usual scuffs on lids. 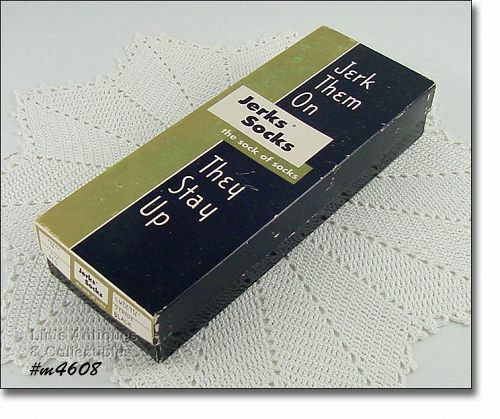 These hanky boxes are becoming more and more difficult to find – all the hanky boxes we have listed have been a part of my hanky collection. 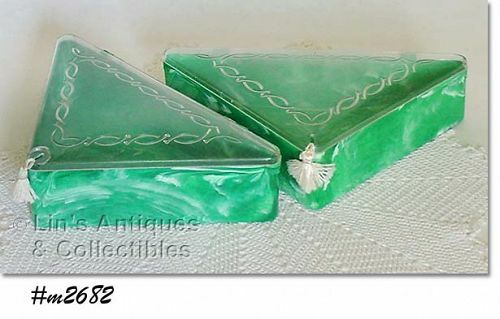 These two Hommer hanky boxes are the same pretty “marbleized” green color! The original ribbons have been replaced with small tassels. 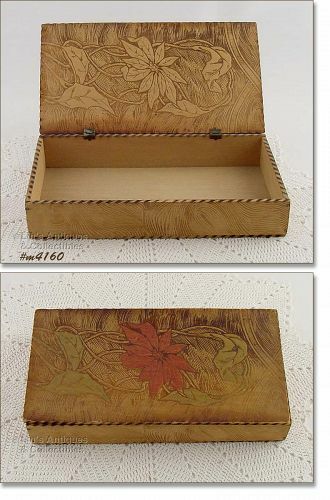 Both handkerchief boxes are in wonderful condition with only evidence of “use” being minor wear/scuffs on lids. This is a neat item – a sewing basket made by Hommer Manufacturing Company of Newark, N.J.! 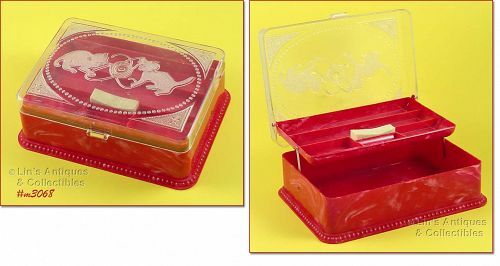 It’s in wonderful condition and still has the insert tray – super collectible and a useful item. 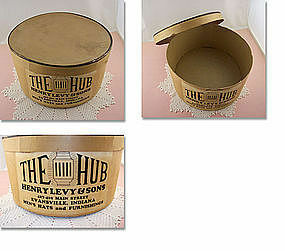 This is a neat hanky storage box made by Homer Manufacturing Company of Newark, N.J. USA! Storage box is triangular shaped and is made of clear, hard plastic. It’s in very good condition with storage rubs on top but has no chips or cracks – very nice item! Cute little plastic sewing basket made by Hommer Manufacturing Company! 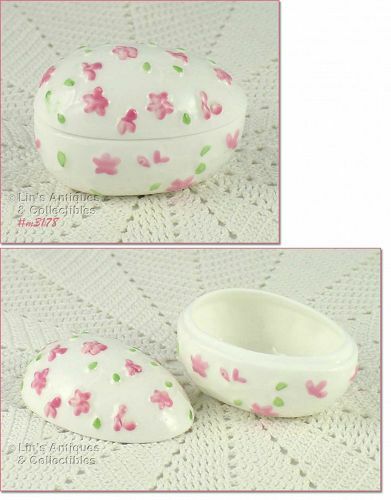 Round in shape, lid is clear with in-mold floral pattern, bottom is pink and has in-mold basket weave pattern. 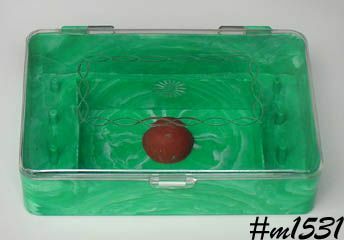 Clear plastic interior tray has foam rubber ring (for needle storage) that slips over the thimble holder, tray holds thread, etc. and lifts out for more storage underneath (will hold small scissors, etc). This is a super retro item and is in great condition! 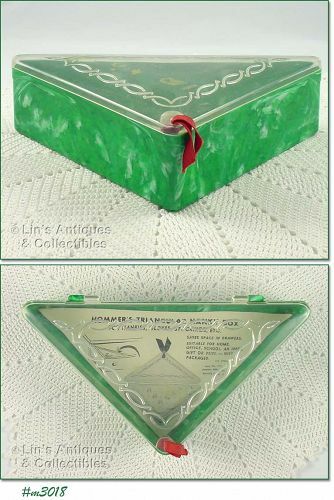 This listing has a cute little sewing case made by Hommer Manufacturing Company! Case is hard plastic, bottom is marbelized green color, lid is clear. It measures 6 5/8" long, 4 1/2" wide, and 1 5/8" tall. Neat item, very collectible and not your everyday find in this shape! THIS IS SO PRETTY! WOULD BE A WONDERFUL GIFT BY ITSELF OR WITH SOMETHING SPECIAL TUCKED INSIDE! IT'S CHRISTMAS TREE SHAPED, MEASURES 3 1/4" LONG (FROM TOP TO BOTTOM), 2 3/4" WIDE (AT WIDEST PART). LITTLE BOX IS WHITE WITH LID HAVING GOLD COLOR TRIM AROUND EDGE, CENTER HAS 2 SPRIGS OF HOLLY WITH RED BERRIES. 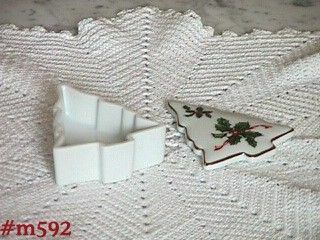 BOTTOM IS MARKED: LEFTON CHINA, HAND PAINTED, 03054. ALSO HAS PAPER LABEL: LEFTON, TRADEMARK, EXCLUSIVES, JAPAN. MINT CONDITION.